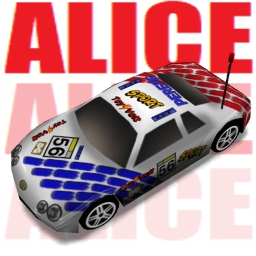 - The name "Alice" is just becouse it looked good for a car lol. - This car's paint is inspired on "Majorette Racing Proto 209/10". - This car was sent to me by greengo123 he asked me to work on it.